If you’ve read my blog before you know I believe life rests on a foundation of relationships. They permeate all of the Three Pillars of Fitness. So I am delighted to share with you a book that addresses the vital topic of building relationships. 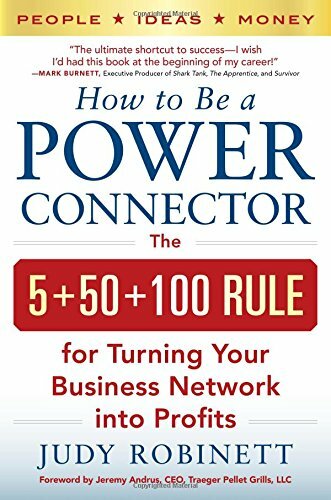 How to Be a Power Connector: The 5+50+100 Rule for Turning Your Business Network into Profits by Judy Robinett reads fast and serves as a step-by-step guide on the strategy and tactics you need to know to create, build, and improve the relationships you need to direct your life. While the title focuses on business, Judy addresses familial, personal, and professional relationships. As important, throughout her book, she stresses the importance of shared values as a basic building block for interacting with people. Darrah Brustein beautifully summarized the book in her article on Entrepreneur.com. Rather than reinventing the wheel, I asked Judy some questions that arose from my reading her book. 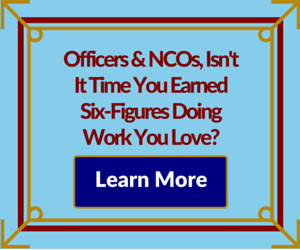 Question: How much of your day is devoted to building and maintaining your network? Answer: Not even a half hour a day. Keep in mind, just because somebody can help you doesn’t mean he will. Be clear about your goals. Question: In your book, you shared many of your successes. What have you learned from your networking setback besides avoiding bad actors? Answer: When you hit a wall, just say next. Relationship building requires resilience, and faith in G-d. Question: There are people who think those who differ with their politics by definition do not share their values or are bad actors. What advice do you have that might help them reconsider this idea? Answer: You have to be smarter to see the value in two divergent points of view. Just because you have a relationship with someone doesn’t mean you agree with him on all points. Question: As a person of faith, how would you respond to someone who says if G-d wants me to meet the right people He’ll make it happen? Answer: This is Santa Claus thinking. Question: I have found one of the most important functions of experts is to give people permission to do things they otherwise would avoid. [More on this idea in a future blog post] What things will you give people permission to do? Answer: It’s okay to be afraid. But adopt the good fear – the kind that moves you out and up, known in Hebrew as yira. Keep in mind, almost nothing can be done alone. Know that half of Americans are shy. They feel just like you do. So talk to strangers. Ask people, “What ideas do you have?” “Who should I meet?” Always be thinking - how can I add value? Aside from being known as the woman with the platinum Rolodex, Judy is a brave woman. Quoting Hebrew to a rabbi! The other day I was speaking with a colleague about whiskeys and tequilas he found life changing. I had never considered libations could be that impactful. But whether you are a novice entrepreneur or approaching your silver wedding anniversary, Judy’s insight and advice will improve your relationships and help you take your life to the next level. Get her book today! How would being more strategic about developing relationships help you? This entry was posted	on Sunday, April 19th, 2015 at 03:30	and is filed under Entrepreneurship, Finances, Relationships, Transitions. You can follow any responses to this entry through the RSS 2.0 feed. You can skip to the end and leave a response. Pinging is currently not allowed.